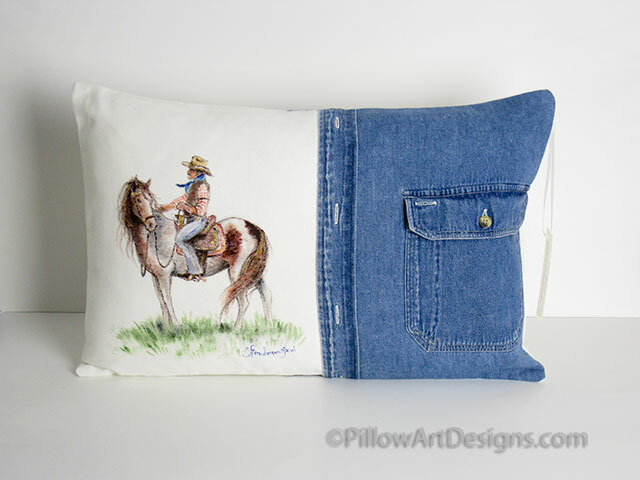 We've used upcycled denim to add a rustic look to this original art accent featuring a cowboy and his horse, out on the range. 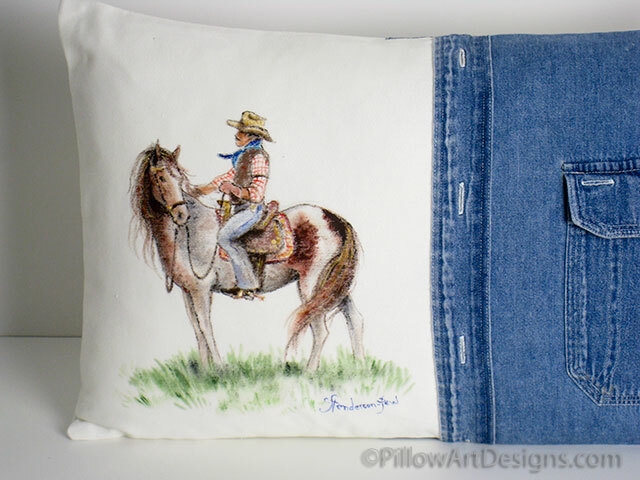 Painted and signed by Canadian artist Carol Henderson Pew, this decorative pillow would make a wonderful gift for the horse lover in your life. 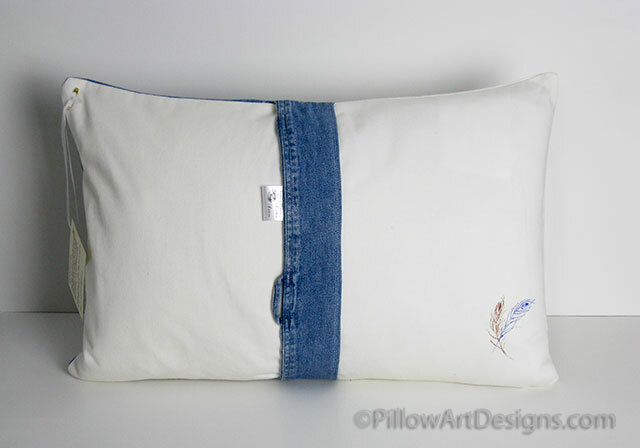 It looks great on it's own, or as part of a grouping of pillows in your room's decor. Save on shipping by buying the cover without insert, price is $75 plus shipping to your location. 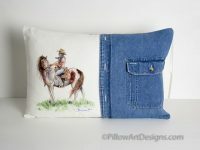 Contact me here for price adjustment and shipping info.